French prog band Lazuli has released a new album. It's called "Saison 8". Their website showed another two released that i didn't know : "Live 2016", a DVD with the 2016 Zoetermeer concert, and "Nos Âmes Saoules" (Our Drunken Souls), from 2016. Ham Sessions is a small festival that takes place in the garden (!) of Michel Mast's place in Ghent, BE, from May 19 to 21. I've visited it a couple of times and it's wonderful. I saw The GrandMothers Of Ivention in concert last week. Once in Heerlen and again in Tilburg. Don Preston, Bunk Gardner, Ed Mann and Christopher Garcia. The Heerlen concert was quite a disaster, actually. Lots of mixer and monitor sound problems took the vibe away. Not only for the audience, but also for the musicians. Once that the issues had been resolved, the keyboards still sounded saturated... Quite frankly, It was a mess. Despite some fine solos, this concert could not be saved. Tilburg was quite another story. With no scheduled or unscheduled breaks, the band played for two hours. Tight, or at least more tight then in Heerlen, and with great solos, it was like this was a completely different band. Add a superb sound (tip to the hat for the soundguy) and a fine audience and one gets a great evening. and there's Mike Keneally and Joe Travers touring Europe with Joe Satriani as part of his G3 tour. Terry Bozzio also has dates scheduled in Europe. Solo drum music. and there's Napoleon Murphy Brock and Denny Walley who are touring the U.S. with Project/Object right now. Here's a recording of Project/Object's April 24 concert at 'Toad's Place' in New Haven, CT.
December 2 & 3, 2018: Lectures and more. Guitariste, chanteur, auteur, compositeur, dictateur, anticlérical, antipolitique, misogyne, perfectionniste, ou provocateur, Frank Zappa (1940-1993) a longtemps porté ces étiquettes pour la plupart réductrices, voire exagérées. A l’occasion des vingt ans de sa disparition, l’université de Rouen réunit des spécialistes pour mettre en lumière l’aspect savant de l’iconoclaste à travers son travail orchestral, compositionnel et filmographique. Un sérieux badin, un savant populaire, un farfelu organisé, un bouffon perspicace, un vulgaire compositeur, aucun oxymore ne suffira à décrire Frank Zappa, celui qui depuis les sixties n’aura de cesse de gêner, dénoncer, railler, parodier, ridiculiser et créer via sa musique définitivement inclassable. Une musique singulière qui n’appartient à aucun style, si ce n’est le sien. En effet, elle concentre un ensemble d’influences, conjuguant entre autres le populaire et le savant, assaisonné d’un humour souvent potache mais d’une verve toujours assassine. Du rythm’n blues à l’opéra, d’Edgard Varèse à Howlin’ Wolf, de John Lennon à Pierre Boulez, des Ramblers à l’Ensemble Modern, pendant près de trente ans, l’œuvre de Frank Zappa a réuni les opposés. Elle demeure encore aujourd’hui hors-catégories musicologiques. 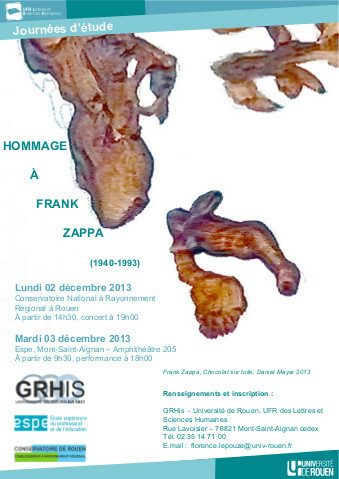 Après les journées d’études et colloques sur Iannis Xenakis et John Cage, le GRHis a tenu à rendre hommage cette année à l’artiste hors-normes qu’était Frank Zappa. Conservatoire National à Rayonnement Régional, Rouen. 14h30 : Introduction Michel Biard, Directeur du GRHis. 14h45 : “Zappa musicien : du populaire dans le savant, et réciproquement” Présentation de Pierre Albert Castanet, Université de Rouen, GRHis. 15h : “Autour de Lumpy Gravy” Max Noubel, Université de Bourgogne. 15h45 : “Zappa en images” Juliette Boisnel, Université de Rouen – GRHis. 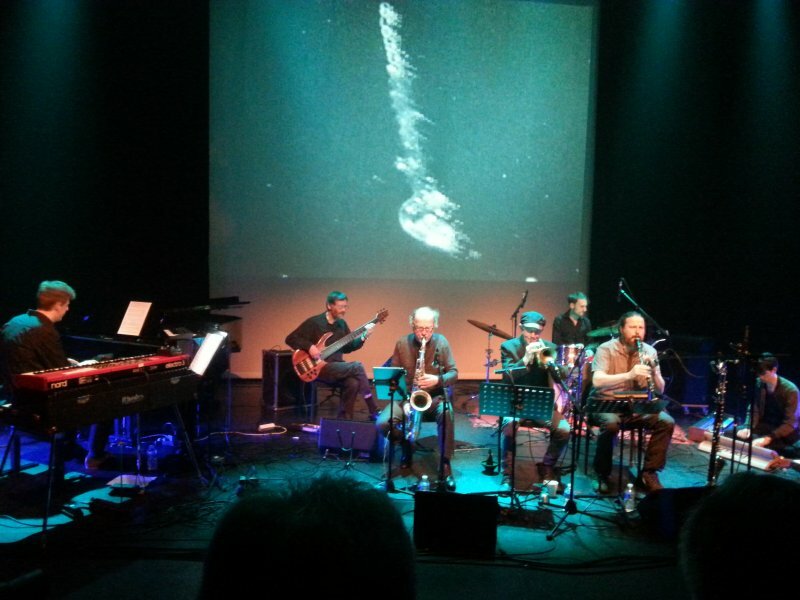 17h45 : “L’improvisation dirigée dans le “sound painting” chez Zappa : le cas du film Baby Snakes” Martin Laliberté, Université de Paris-Est, Marne-la-Vallée. 19h00 : “Du populaire dans le savant” Concert par les étudiants du Conservatoire National à Rayonnement Régional de Rouen. 9h30 : Introduction Pierre Albert Castanet. 9h45 : “L’humour selon Zappa” Juliette Boisnel, Université de Rouen, GRHis. 11h : “Rage et fureur, de la filiation Varèse / Zappa” Philippe Lalitte, Université de Bourgogne. 11h45 : “John Cage et Frank Zappa” Anne De Fornel, Université Paris IV – Sorbonne. 14h : “Frank Zappa : xénochronique” Romain Bricout, Université de Lille 3. 14h45 : “Utilisation de dispositifs électroniques temps réel dans la musique de Frank Zappa” Laurent Pottier, Université de Lyon-Saint-Etienne. 16h : “Zappa et la notion de continuité conceptuelle” Philippe Gonin, Université de Bourgogne. The MoonJune Records label is making the entire Dwiki Dharmawan catalogue available on Bandcamp. Here's "Live At Jazz Fest Wien 2012", originally published on DVD in Indonesia. Bandcamp release of the 2008 album. Out on the MoonJune Records label. Previously released in 2009 on the "Lumpy Money" set, and now for the first time on vinyl : the orchestral version 'Lumpy Gravy'. Released on Record Store Day 2018. Numbered edition of don't know how many copies. But most important, it sounds great !! More Raymond Scott, you say ? European re-issues on marble vinyl ! 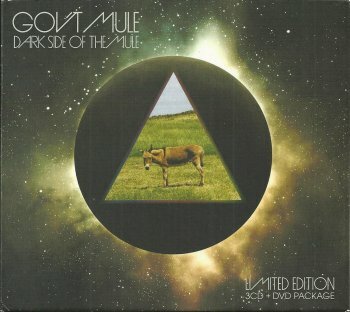 Dark Side of the Mule features 90 minutes of Pink Floyd covers recorded during the band’s Halloween 2008 show at the Orpheum Theatre in Boston, MA. Now available again on limited transparent/green marble and brown/yellow marble vinyl. Shout! features 11 tracks recorded by the band plus a bonus album featuring an all-star lineup of vocalists interpreting The Mule songs. Special guests Elvis Costello, Dr. John, Ben Harper, Toots Hibbert, Glenn Hughes, Jim James, Myles Kennedy, Dave Matthews, Grace Potter, Vintage Trouble's Ty Taylor and Steve Winwood. Now available again on limited colored marble vinyl, 4LP Boxset. The Book Beriah is the third and last book of Masada compositions and features 92 John Zorn compositions recorded by eleven all-star ensembles on 11 CDs contained in a beautiful, limited edition boxed set. One of theses ensembles is Secret Chiefs 3. The box is made available through Pledgemusic. Imagine Raymond, a tribute to the music of Raymond Scott. Check out the album ! MoonJune Records is (re-)releasing Dwiki Dharmwan's "Live In The USA" album. Caballero Reynaldo will be doing a couple of concerts in the near future. Below you can see (and hear) a YouTube recording of one of his Zappa-tribute concerts. Every once in a while, I buy a Gov't Mule album. Don't get me wrong, most of the music that I listen to does make me feel good. It's just that Gov't Mule has this laid-back-jam-band feeling that I find very comfortable. "Dark Side Of The Mule" takes the listener back to Halloween 2008 when Gov't Mule performed two sets of great music at the Orpheum Theater in Boston. The band not only performed some fine original tunes, they also brought some classics from the Pink Floyd catalogue, featuring two of the original Pink Floyd background vocalists !! The album got released in 2014 to celebrate Gov't Mule's 20th anniversary and it was made available in different editions (CD, LP, 3 CD and the recommeded 3 CD/DVD set). Last Saturday was Record Store Day. I like records and I do like record shops and yet, I'm not the biggest fan of Record Store Day. I had three records on my want list. I ordered one album (the Sun Ra one) over the internet from someone who sold a copy a couple of days in advance. The other two (The Residents and the Frank Zappa one) I bought on Saturday morning at the Coffee & Vinyl record shop in Antwerp. I was glad to be there rather early as the shop only had one and two copies of these titles. For one reason or another, however, the shop charged 47.25 euro per album.. A rip-off, as the price in other shops turned out to be 32.50 euro. A friend of mine went to record shops to find all copies gone, so I wasn't feeling unhappy. Just ripped-off. So if Record Store Day is about going to the record shop and being unable to find the album that you want, or about paying 5 or 10 euros extra over the internet, or about paying way too much for a brand-new release, they succeeded. ZappaCast, episode 37, in which Scott Parker talks with Ahmet Zappa. When I talked about Dominique Vantomme's "Vegir" album recently (featuring Michel Delville and Tony Levin), I forgot to mention that it was recorded by Pascal Deweze (Metal Molly, Mitsoobishy Jacson, Gruppo Di Pawlowski,...). The Music Of Frank Zappa with Special guests... Zappa alums Napoleon Murphy Brock and Denny Walley. I mentioned the excellent Imagine Raymond project / album last month. Yesterday, I got the opportunity to see the band in concert at CC De Muze in Heusden-Zolder, BE. Pretty good concert. Loved the music AND the images / little movies that were projected on the big screen. The music of Raymond Scott !! Recorded live in Baltimore, MD (USA) on November 14, 2015.
simakDIALOG is progressive jazz band from Jakarta, Indonesia. Music Legend SHUGGIE OTIS Lets His Guitar Take Center Stage On A New Fusion Rock Album INTER-FUSION! Features drummer Carmine Appice and bassist Tony Franklin! Los Angeles, CA - Though most known for his soulful songwriting and gentle croon as heard on blockbuster hits such as “Strawberry Letter 23” and “Inspiration Information,” Shuggie Otis has long been held as one of the most innovative and tasteful guitarists to ever pick up the 6-strings, the “heir to Hendrix” as he is often called. A guitar-playing prodigy from an early age, Shuggie performed on stage and in the studio alongside his legendary father, bluesman Johnny Otis. Now, Shuggie has a new project that showcases just how mindblowing he can be on the pearly frets of his gorgeous maroon Gibson SG, an adventurous new fusion rock project called Inter-Fusion. The album consists of mostly instrumental tracks that groove and weave, taking unexpected turns in surprising directions but all anchored by one of the finest rhythm sections imaginable featuring drummer Carmine Appice (of Vanilla Fudge and Beck, Bogert and Appice) and bass player Tony Franklin (of The Firm and Roy Harper). In addition, keyboardist Kyle Hamood (of local L.A. rockers Them Guns) steps in as both a musician and producer of the album bringing the absolute best performances possible out of each player. Inter-Fusion will be available April 20th on both CD, vinyl and on all digital platforms. The Security Project has once again reinvented itself, this time with vocalist Happy Rhodes. Together with Jerry Marotta (drummer from Peter Gabriel's first five records, Trey Gunn (King Crimson), Michael Cozzi(Shriekback) and NY keyboardist David Jameson, the group continues reimagining the early work of Peter Gabriel (and also on this disc - Kate Bush), but with Happy's impressive four-octave vocals adding an entirely new dimension. The Security Project will be on tour in the North East USA and Canada with dates in May and June. Exag Records re-released Helicon's Gehenna vinyl 12" (from 2015) in a rather limited quantity of 20 copies. Fortunately, the EP is still available in the digital format. Started in the early eighties by Jimmy Carl Black, Don Preston and Bunk Gardner, The Grandmothers have gone through various line-ups and incarnations. During one or their most recent tours, November 2014, The Grandmothers recorded the concert that they did in Bremen, Germany. Next to the ever-present Don Preston, Bunk Gardner (and Christopher Garcia !! ), the line-up included Eric Klerks on bass and vocals and Max Kutner on guitar and vocals. It's great to have this concert available as on official release, especially since the Grandmothers will be starting their final tour in about a week. Sure, Don and Bunk are in their seventies and they don't play as fluent as they used to, but the emotional / historical aspect plus the excellent performance by Chris, Eric and Max make up for that. On their final tour, Chris, Don and Bunk will be joined by Ed Mann. Let's hope they bring a guitar and bass player along as well. Eric Klerks joined the Magic Band as their guitar player in 2009. In 2014, he did a tour with The Grandmothers and returned to The Magic Band for their final tour in November 2017. "Live... San Francisco" combines the jam that Frank did with Shuggie Otis and Ray Agee during Johnny (= Shuggie's dad) Otis' radio show, with the Fillmore East concert that The Mothers did four days later. Originally scheduled for 2017 !! Due to various circumstances it didn't get released last year, but we should be able to get hold of it on the 21st of April. Coming on 4/21/18 for Record Store Day! 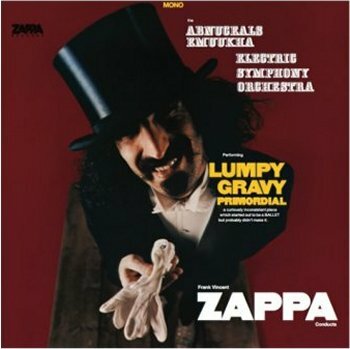 Lumpy Gravy: Primordial contains Frank Zappa’s first orchestral-only edit of the music sessions recorded at Capitol Studios during 1967. This self-described “ballet” was never officially issued until 2008 on the posthumous collection Lumpy Money. On Record Store Day 2018 it makes it’s debut on limited edition 12” 45rpm mono translucent burgundy colored vinyl, mastered from the original 1967 1/4” mono master tape, with FZ’s original gatefold album design lovingly restored. Pick up your copy at a record store near you on April 21! 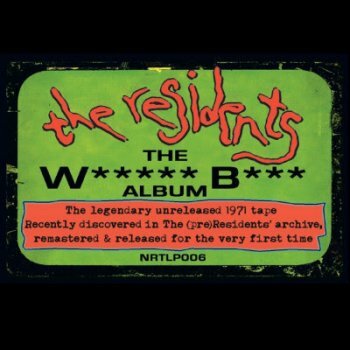 It looks like the actual title of The Residents' Record Store Day release is "The W***** B*** Album", and not "The Warner Brothers Album" as I thought earlier. It's being released by the Cherry Red records label, the same people who are bringing us the Residents pREServed series. 8. OH MOMMY, OH DADDY, CAN’T YOU SEE THAT IT’S TRUE? 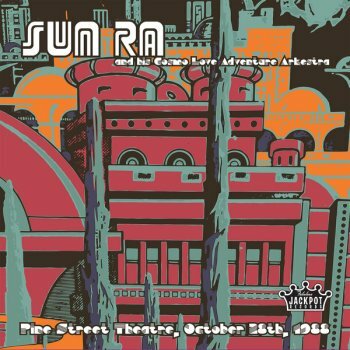 Added the data of the soon to be released Sun Ra Record Store Day release (April 21) to the United Mutations Archives. 2 LP set, limited to 2000 copies. dedicated to the music of the legendary American composer Frank Zappa (1940-1993). Thanks to my fellow Zappateers, I was able to give FZ's 1984 Brussels show another listen. That was the second time I show Frank in concert (first time being 1982). An improvisation by Corrie van Binsbergen. From the documentary "Improvising Hands - Improvising Minds", 2014. 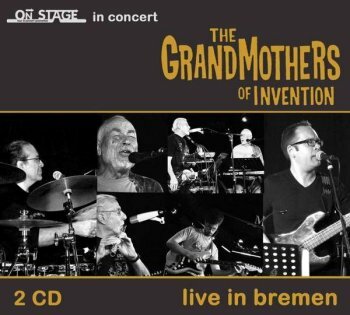 The Grandmothers are releasing a live album, recorded in Bremen during the 2014 tour !! Update #2 from THE WRONG OBJECT PLAYS ZAPPA - NEW ALBUM! Track list soon tba ! We are currently working our way towards a near-final list of FZ ditties which will be recorded & mixed in June so we can meet the September deadline. Peter Gabriel's rhythm section of his classic line-up, Jerry Marotta and Tony Levin, reunite for the backbone of this album! Soul Redemption is the debut release from singer/song writer Flav Martin and drummer Jerry Marotta. The duo harmoniously blends modern adult rock with traditional world pop. Whether performed in a cafe in Italy or on the polo fields of Indio, these songs would feel comfortably at home in either environment. Soul Redemption is a harmonious blend of modern adult rock and traditional world music. Credited as one of the most innovative acoustic guitar players on the scene today, Flav Martin blends beautiful melodies with intricate technique, voicing, and a percussive style that leaves people saying “How does he do that?”. Throughout his career Flav has performed with David Crosby, Al Stewart, Suzanne Vega, Tommy Emmanuel and more. Flav’s many writing credits include Saturday Night Live, PBS, Canon Films. All but two of the songs on this album were written by Flav. World renowned drummer, touring and session musician/producer Jerry Marotta has left his mark on countless recordings by Paul McCartney, Hall & Oates, The Indigo Girls, Marc Cohn, Sarah MacLachlan, and John Mayer to name but a few. He first entered the music scene as the drummer for Orleans with the hit single “Still the One” followed by a decade of performing and recording with Peter Gabriel. His rhythmic drumming and world music inspired percussion complement the acoustic flavor of Flav’s guitar. Fans of Peter Gabriel will delight as Jerry Marotta and Tony Levin, the rhythm section of his classic line-up, reunite for the backbone of this album. Also backing up the duo are their long time friends Peter Primamore (piano), Thor Jensen (guitar), Marc Shulman (guitar), and Gary Schreiner (harmonica/accordion). 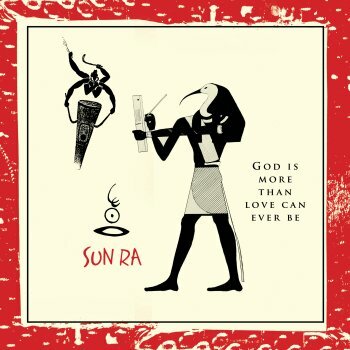 Another Sun Ra release on the Cosmic Myth Records label. Sun Ra in trio : piano / bass / drums. Available through Bandcamp, and also on CD and LP. 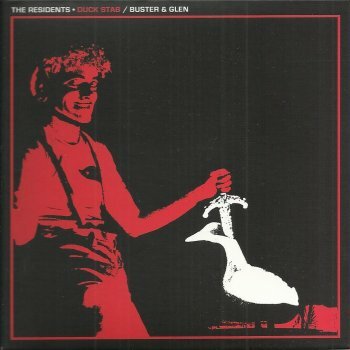 Cherry Red Records and MVD Entertainment have released album number 3 and 4 in the Residents pREServed series : "Fingerprince" and "Duck Stab / Buster & Glen". Each album is now a 2CD set, presenting lots of bonus material next to the remastered original album. By means of an interview with Joe Newman (by Sean McGuire, that is). Klanggalerie has issued a solo album by Hardy Fox. His first one as 'Hardy Fox'. 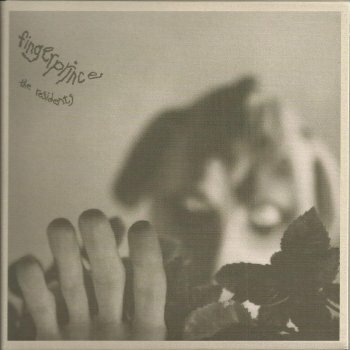 There's also a re-issue (with lots of bonus material) of Snakefinger's Vestal Virgins "Night Of Desirable Objects". Steve Gadd's pledgemusic project for his latest album features former Zappa band trumpet player Walt Fowler. Check out the nice video clip. Grammy®-Nominated,world-renowned drummer, Steve Gadd, returns with his 4th album release from Steve Gadd Band! “The guys” are Walt Fowler (trumpet/flugelhorn), Jimmy Johnson (bass), Michael Landau (guitars) and the newest member of Steve Gadd Band, Kevin Hays (keyboards, vocals). Fowler, Johnson and Landau are, like Gadd himself, all veterans of James Taylor’s touring band. Hays was suggested by Larry Goldings, the band’s erstwhile keyboardist. Steve Gadd Band follows Gadditude(2013), 70 Strong(2015) and Way Back Home (Live from Rochester, NY)(2016), the latter—nominated for a Best Contemporary Instrumental Album Grammy®. "The Art Of Going Nowhere" is a new album by Pierre Vervloesem. Actually, it's a series in 4 parts. I've only listened to part 1 and 2 and all I can say is that you have to hear this. Parts 1/2 and 3 are already available on Bandcamp. All 4 parts (that's 4 times 40 minutes) have also been released on a usb-card, in a limited edition of 10 copies (and there's still 3 copies left while I'm typing this, so hurry !!). Supporters of Alex Winter's "Frank Zappa Movie Project" are getting acces to various video and audio clips (to listen to and/or to download). They're popping up everywhere (Facebook, Wetransfer, ...), so check them out. Taped by FZ off the radio as it aired. Recorded direct to digital 1630, 2-Track stereo. "A good example of a disappointing find from the Vault. During the recording of this show, the clocking was malfunctioning, causing audible artifacts throughout the entire master. FZ did not save the multi-track masters for this show, all that exists is this faulty document. For this Kickstarter reward, the audio was run through a de-clicker filter, a maximizer plug-in to achieve some gain (as the level of the recording was extremely low) and was slightly equalized to enhance top end. It’s rare, hope you enjoy!" Compiled & Produced by Frank Zappa, circa 1981. Filled with alternate edits and mixes of released material as well as unreleased stuff! "A cool note about the radio shows: every now and then, you might hear a glitch in the audio. That’s actually FZ himself making edits!" Compiled and Produced by Frank Zappa, circa 1981. Taped by FZ on the road. The Mothers go to a Vancouver B.C. radio station to be guest disc jockeys on September 19, 1970. "Although we've seen this before in the Apostrophe Classic Albums documentary, this spiffy new HD transfer by the Reflex film lab is a thing of beauty and a great example of the preservation work!" "FZ rehearsing 'Envelopes' and 'Sinister Footwear' with the band before their concert in Eugene, Oregon on October 4th, 1981. Also, a young fan in the audience plays with his date. From the Thomas (genius artist that he is) Nordegg VHS section of the vault." "We found this li’l nugget on a VHS compilation tape of FZ TV appearances, apparently put together by Barfko-Swill mail order manager Gerald Fialka. It's from somewhere around late 1979/early 1980. Possibly the only time FZ ever danced to disco!" 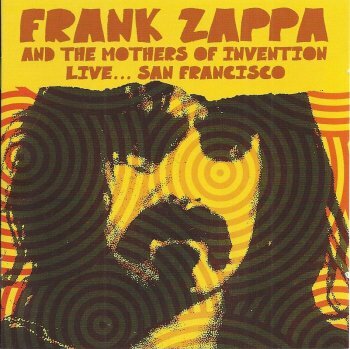 "On May 20th, 1984, FZ participated in the San Francisco-based Speaking of Music series. Some excerpts from this can be seen in the 'Does Humor Belong in Music' home video, but a never-before-seen highlight of the evening was this dancing life-size puppet to the tune of 'He's So Gay.' This and other puppets were created for 'A Zappa Affair,' which was performed in Berkeley that same year. Loved finding this stuff!" "For this performance of Cosmik Debris, which includes FZ's band intros and opening rap, the lyrics are adapted on the fly to honor Steve Vai's sexual escapade of the previous evening. From the Kansas City show, December 5th, 1981." "One of the regular features of the 1981 tour was during a section of the instrumental 'Envelopes' which was bass-free, allowing Scott Thunes to improvise a variety of activities (free-form interpretative dance, fondling bandmates, etc), ultimately returning to his bass and rejoining the song just in the nick of time. But touring can make you crazy, and by the end of this one, Thunes felt the need to push the boundaries; so for the Salt Lake City show on December 7th, 1981, after purloining a jar of mayonnaise from the backstage eating area, he pulled off this legendary act of self-condimenting." "As promised. This EPIC 14-and-a-half minute performance of 'RDNZL' encapsulates the awesomeness that was the 1981-1982 band. From May 22nd, 1982." "FZ records vocal takes for 'Keep It Greasey' at Village Recorders (the same studio our Kickstarter backers just got to record in!) during the 'Joe's Garage' album sessions. Circa May 12th, 1979." "During a freewheeling 1984 interview with Italian TV and radio personality Red Ronnie, FZ tells an anecdote about seeing an Italian airport doctor." "The Mothers of Invention go sightseeing in London on their first tour of Europe and the UK, September 1967. Shot by FZ stalwart extraordinaire, Ed Seeman." "At Village Recorders in May of 1979, FZ also recorded 'Canarsie,' and here we have Warren Cuccurullo's sitar session, in which FZ makes him say the infamous opening statement." The Third Man Records label will re-releasing Captain Beefheart's "Trout Mask Replica" as one of their so-called Vault Packages. In other words: You have to subscribe (US $ 60.00) , Third Man Records will print the exact number of copies to match the total number of subsscriptions, and you'll receive the package. a re-issue of the pachuco cadaver 7"
There's quite a number of opportunities if you want to catch the Ed Palermo Big Band in concert in 2018 !